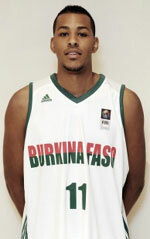 Morocco outscore Burkina Faso on Sunday opener at 2013 Afrobasket. Morocco needed an 84:63 win and finished Group B with 2-1 record. Burkina Faso meanwhile remained winless at the tournament. Burkina Faso had nothing to lose after the first two losses at the tournament and won the first period 16-13. Morocco however erupted with a 24-6 surge in the second frame and took 37:22 halftime advantage. Moreover Morocco scored another 24 points in the third period and increased to 23-pont lead. 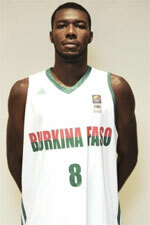 Burkina Faso won the last stanza 25-23 and cut it to final 21 points. Abdelhakim Zouita (201-F-86) paced all the winners with 21 points and Younes Idrissi (204-C/F-84, college: Iona) notched 16. Reda Rhalimi (213-C-82, college: St.Mary's, CA) delivered 12, whilst Abderrahim Najah (198-F/C-84) had 10. Moussa Ouattara (202-C-88) replied with 25 points in the losing effort and Mamadou Sawadogo (203-PF-78) scored 18. Stephane Nissao (95) added 8, while Herve Yameogo (196-F-82) notched 6.